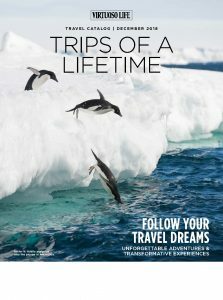 An all exclusive journey with Crystal Cruises is more than just a luxurious way to explore the world. 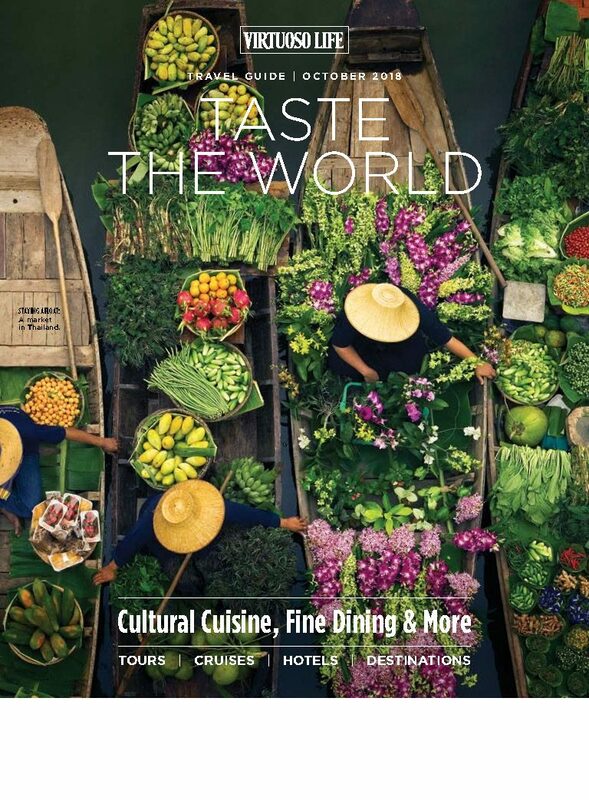 It is an adventure of a lifetime, opening up the globe and unlocking discoveries at every turn. 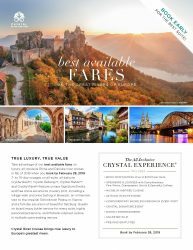 Whether by luxury ocean liner, River cruise ship or intimate yacht expedition, – there is a Crystal experience awaiting you! 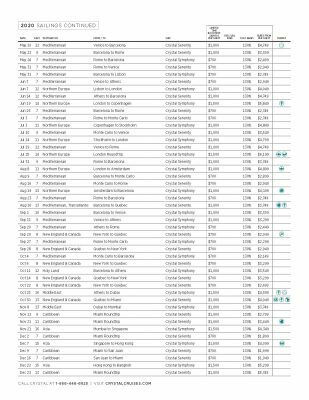 For the past 26 years, Crystal Cruises has redefined luxury ocean travel by providing the finest travel experience. 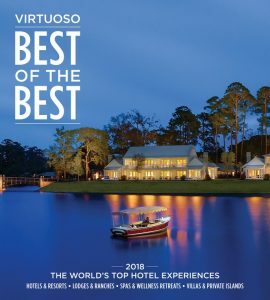 Building upon its unrivaled reputation, The World’s Most Awarded Luxury Cruise Line™ has now embarked on the most significant brand expansion in the history of luxury travel and hospitality. 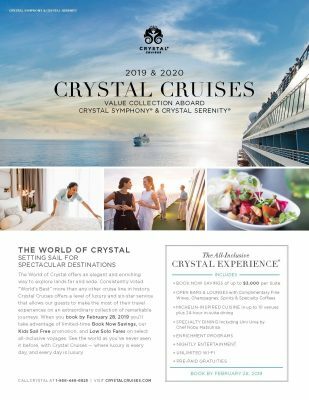 Over the next three years, Crystal will introduce three brand-new classes of cruising and even its own luxury aircraft. 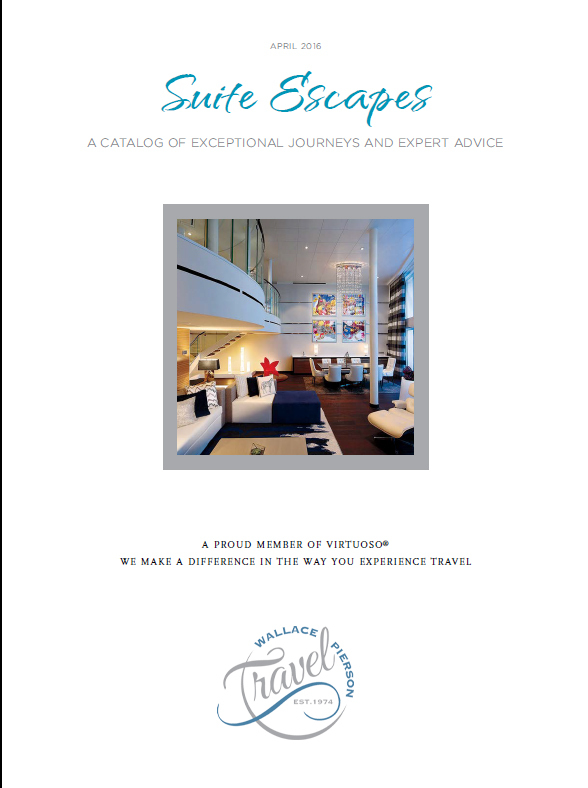 Contact your Wallace Pierson Travel Advisor for exclusive specials and savings including Crystal Clear Choices, where you have the choice of fare savings, air credits or shipboard credits on sailings through 2018. 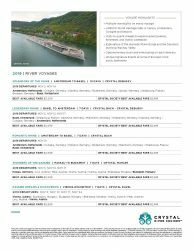 Experience Crystal for yourself and see why they have been the Winner of the “Best Luxury Cruise Line” by Virtuoso for three consecutive years (2014, 2015, & 2016), “World’s Best Cruise Ship” in Condé Nast Traveler’s Reader Choice Awards for 23 years, and most noteworthy voted “World’s Best Large Ship Cruise Line” by Travel + Leisure readers for 20 consecutive years. 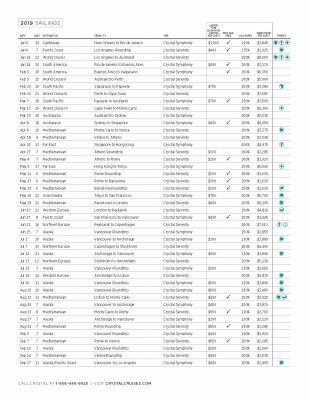 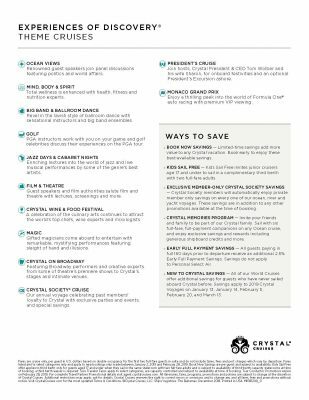 Currently, and through February 28, 2019, Crystal is running several promotions including “Book Now Savings”, “Kids Sail Free”, and Low Solo Fares on several ocean sailings, “Best River Suite” offers on several River Cruise options. 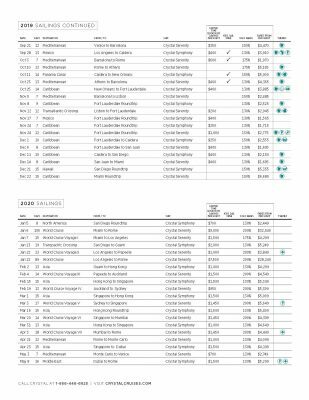 Contact your advisor at 904.261.5914 for additional information!